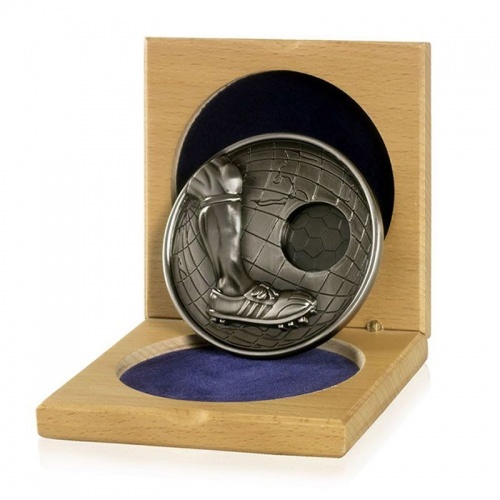 High quality football medals, 4mm thick, with an antique silver finish. Supplied complete with attractive beech wood cases. 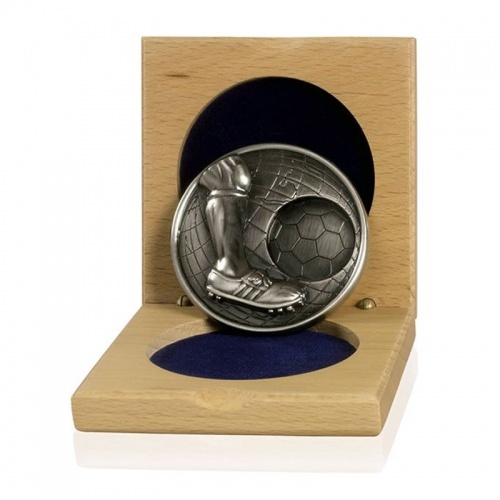 Standing 2.36in (60mm) tall. 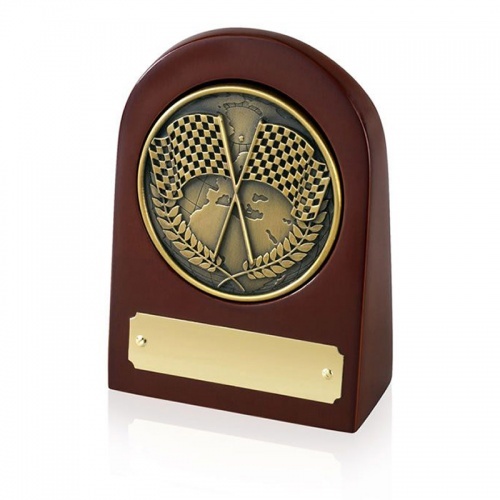 Optional medal holders with engraving plaque available.